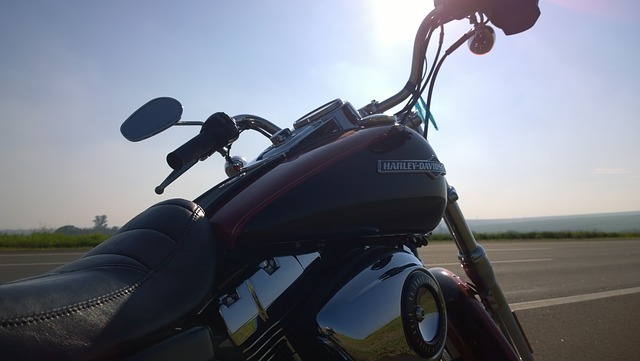 A leisurely motorcycle day-trip with plenty of chances to stop and enjoy all the area has to offer, with some sight-seeing, a light lunch and still be back in Cadillac in time for dinner and to take in some nightlife. DIRECTIONS: Head west out of Cadillac on M-115 until you find yourself in the little port town of Frankfort. Ask the locals about the ‘Elberta Lookout’ to get an awesome view of the village and Betsie Lake. Heading south from Frankfort on M-22 will bring you to a scenic turn-out just North of Arcadia. Don’t miss this. The view is unforgettable. Continue south on M-22 until you are a few miles north of Manistee. Here you will turn east on Coates Highway. This is where this ride really gets interesting. 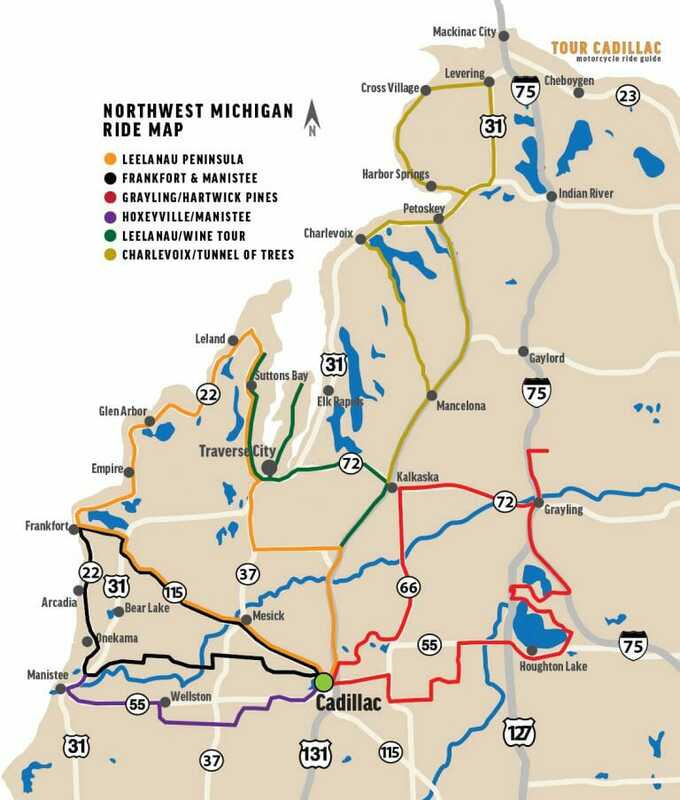 Coates Highway will take you on a twisting and turning course following the flow of the Manistee River. Opportunities abound to see wildlife and take in the rolling panoramas of the ancient river bed your riding through. Tippy Dam, Red Bridge and the State Fish Hatchery at Harrietta are just a few of the places well worth the time spent if you decide to stop. Following this wonderful country road will eventually bring you back to M-115 just west of Cadillac.